By shopping online and in store at Calico Laine, customers are able to Buy Polyester Bi-Stretch Fabrics in a wide range of colour options. 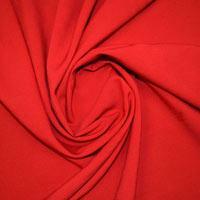 Our Polyester Bi-Stretch Fabric is between 147cm-150cm wide and manufactured in EEC. 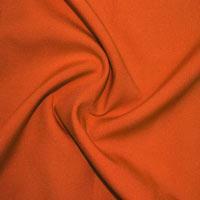 This fabric has a slight stretch across the bias of the material giving maximum comfort when worn. Bi-Stretch is a popular, versatile Fabric ideal for creating clothing such as skirts, trousers, jackets and suits as it requires little ironing and provides full ease of movement. If you work in an office environment, or sit for most of the day Buy Bi-Stretch Fabric for long lasting pieces to compliment your work wardrobe. As it will not crease easily this will result in high quality clothes which will remain looking smart and neat through many wears and washes. Bi-Stretch is a hard wearing Dressmaking Fabric and known for its long lasting quality, so you can be assured that the garments you are making will not wear easily. Calico Laine stock only the highest quality Bi-Stretch Fabric in a wide range of colours including beige, black, white, silver and many more. Bi-Stretch Fabrics are not only comfortable to wear but creates lovely body and drapes well, ensuring that you will always look smart and well presented in the office and on formal occasions.